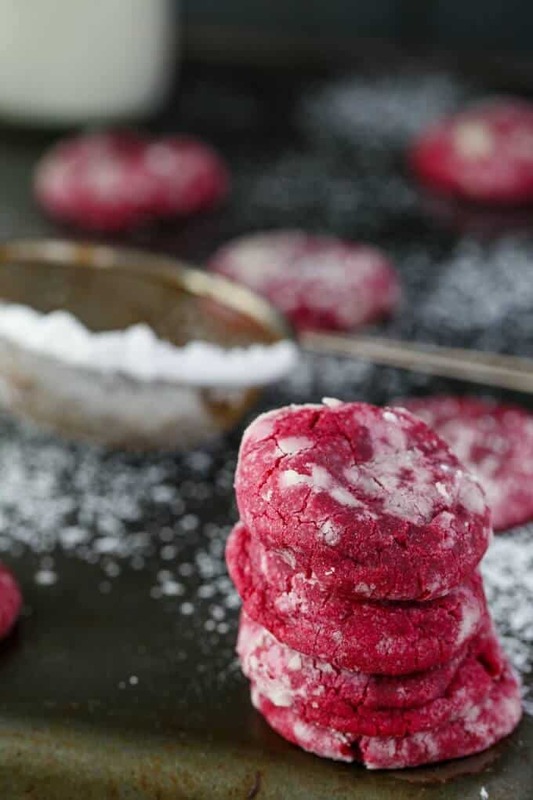 The photos and recipe for these red velvet cookie crinkles have been updated as of December 21st, 2016! 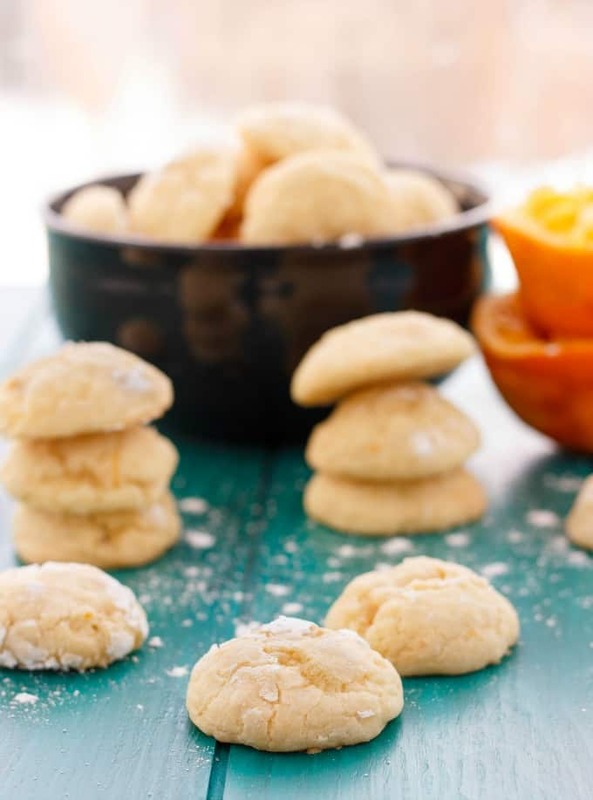 Another December day, another cookie recipe! I love making cookies, but Christmas cookies are even better! 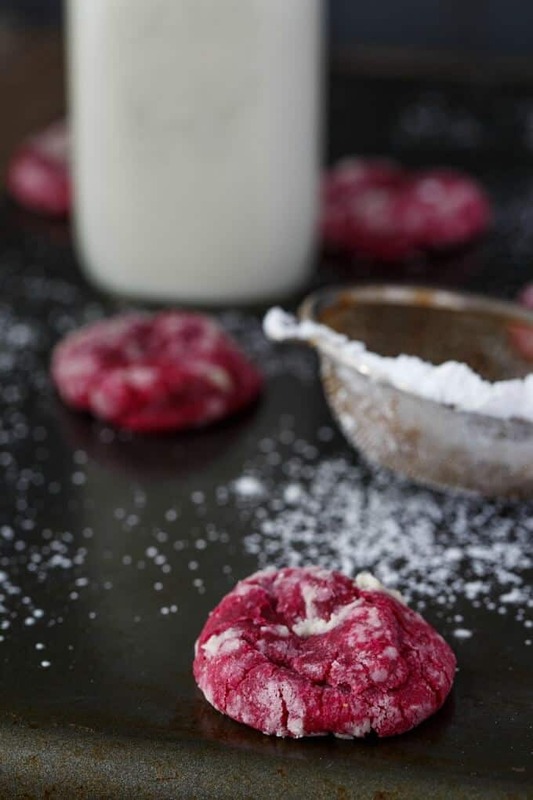 With such success from my lemon cookie crinkles, I knew these red velvet cookie crinkles would be a hit. And surprisingly, they are not too sweet, even with being rolled in confectioners’ sugar. The funny thing about this recipe is how they came to be. I received a TON of chocolate chips from Hershey’s. I wanted to make a recipe using their Chipits, but somehow got distracted by the container of Hershey’s cocoa they sent me and before you knew it, I pushed aside all the chocolate chips and made these cookies! Yeah, I actually passed on a whole bunch of chocolate… But do not fret! I totally made a batch of these tasty and not so crinkly, milk chocolate cookies! So soft, and moist… Okay, moving on! I love the red colouring to these cookies. Red velvet has been a favourite of mine lately, so it was no surprise I resorted to these red velvet cookies. Unfortunately I made them during the week so none of Dan’s coworkers got to try these. There is always next year! 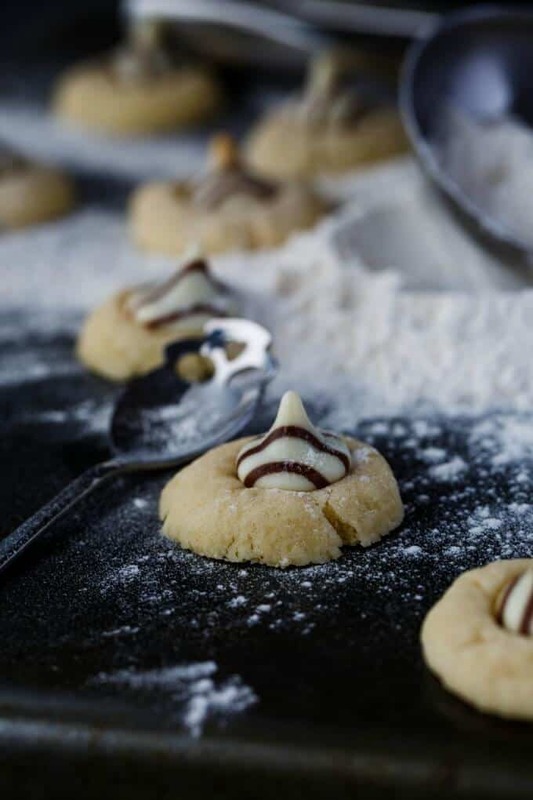 Simple and decadent, these cookies make the perfect Christmas and/or Valentine's Day gift! Line baking sheet with parchment paper or silicone mat and set aside. Sift together the flour, baking soda, baking powder, cocoa powder, and salt. Add to the mixer, mixing until just combined. Measure out 1 tablespoonful-sized portions and roll into balls. 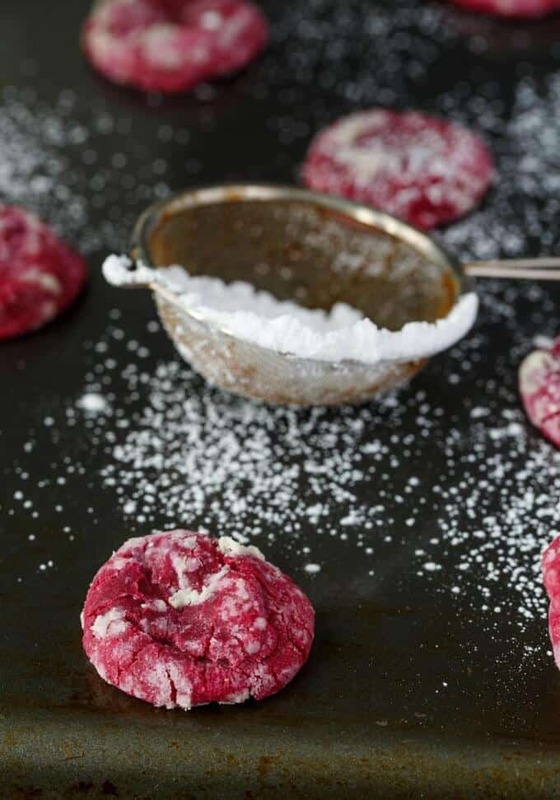 Shake the confectioners sugar onto a plate and roll the balls into it, coating evenly. I find there is no going wrong with this cookie crinkle base recipe. I mean, I have made lemon and almond cookie crinkles, chocolate dipped orange cookie crinkles, and orange cookie crinkles. Never had this recipe fail, nor have I looked for another. I love this recipe and have no desire to find a new one. I did, however, use this recipe to make my double chocolate cookies and found mixing the confectioners’ sugar with cocoa powder did not produce much of a crinkle effect. Might be because the cookies were chocolate as well, resulting with chocolate on chocolate. Still tasted delicious though, so stay tuned!